Keith Olbermann can cost you your nerves, a bizarre supermarket rag likely goes for a buck. By that standard Keith looks uncompetitive, and yet not nearly as articulate as bat boy. Heads of the Mutant Anti-Defamation League are up in arms over this move. They believe that encouraging violence towards these creatures could easily lead to people hunting mutants as well. Environmental groups are also furious at the ecological impact of intentionally hunting several rare species into extinction. But apparently they had no comment about Keith’s odd coiffure. The very fact that his obsessions are so like the Weekly World News might, might, just hint to his rather slavish followers just how much of his banter really is analysis and journalism, or wether his role is more like that of Bat Boy - to appear everywhere it's suspected that those who believe in him want him to be. Astonishingly, no one thought to question the phrase that became his professional trade mark, intoned at the end of each nightly bulletin: "And that's the way it is." That, in fact, was simply the way it appeared to Cronkite. As one of the founding fathers of America's network television news and as managing editor of the CBS evening news for 19 years, his evaluation of world events helped shape his country's electronic reporting into the extraordinarily insular and inadequate chronicle it has become. That, in turn, opened the door to Rupert Murdoch's current brand of unashamedly partisan news coverage. During Cronkite's reign, the standard television bulletin, from which most Americans drew their picture of the world, lasted for 22 minutes. The consequent pressure to condense or omit means that events in vast tracts of the globe remained unknown across the world's most powerful nation. For all Cronkite's insistence that he was a reporter rather than a front man, there was little evidence that he tried to inculcate a mission to inform at CBS. The prevailing philosophy was, and remains, to offer all the news that fits. With no national press to fill the gap, it has meant that for generations of Americans the broad sweep of foreign policy has wavered on tides of popular ignorance. In 1950 he was poached by Edward Murrow of CBS to develop the news department of the network's television station in Washington. "We literally figured it out as we went along'' he said later. "For an old newspaperman it was like carrying a printing press around." But the analogy is inept: print has always been simply the vehicle for the editorial message. Television, as Marshall McLuhan shrewdly observed, itself became the message and Cronkite was one of those who failed to resist the trend. Important developments for which there was no film were reduced to sound bites which barely touched the national consciousness. Nor, as became apparent in crises like Carter's dithering over the neutron bomb, had a mechanism been devised to give viewers a coherent account of policies and ideas, except to make them crudely personalised. Crudely personalised, well .... we would never get that sort of thing out of a writer for the Guardian now would we Mr. Jackson? The America We Love titles Le Nouvel Observateur before Philippe Boulet-Gercourt and Dominique Nora go on to detail (along with a Sylvie Laurent interview by Sylvain Courage) seven sagas which make us dream (Marilyn Monroe, Charlie Chaplin, Martin Luther King Jr, Neil Armstrong, Bob Dylan, Joan Baez, and you-know-who). How about leaving the dreaming part to Monroe, Chaplin, Madonna, and Michael Jackson? How about getting somebody experienced, open-eyed, and… wide awake in the Oval Office? The Western Europeans' Central and Eastern European brethren, after all, seem to be likening the Apologizer-in-Chief more to a nightmare. How about a rough man who, while citizens sleep peacefully in their beds, remains wide awake and stands ready, if necessary, to do violence on their behalf? It’s called avaler des couleuvres,or to swallow snakes. It means “to believe anything you’re told”, and the natives seem to fall for it every time. Today’s mindless French self-administered delusion? It’s no secret to anyone that the CIA has in recent years increased it’s seduction operations in the French suburbs. The "young prospects" are identified and lured in with all-expense-paid travel before being drawn in. The new thing are the "young ambassadors" from the suburbs. Funded by the U.S. State Department and the Agency for social cohesion and equal opportunities, the operation allows 27 young students " chosen for their good academic performance and their involvement in the life of the community to benefit from a two-week stay in the USA. " As a 'young ambassadors', the students will be asked to represent France. They participate in many debates on cultural diversity, identity, or equality of opportunity ", said Caroline Barjon, association AFS Living Without Borders, which organized the visit. Clearly, a vile plot by those Snidely Whiplash types at the CIA. Nooooo doubt about it. There’s no way it could be a useless, mealy-mouthed social program to pander to the internationalist social thinker types who think UNESCO and the like are fighting the war against tooth decay. Never mind the fact that one of the best places on earth to look for information on global terrorism is in the 9-3, and that even if they were up to something, it is likely a spurious and ineffectual hearts and minds campaign along the lines of teaching the kids of Taliban hoodlums to get along with each other by learning basketball. Xenophobia for America, paranoia about people taking their precious bodily fluids, and a big, fat, helping of their usual racism. All rolled into one. Which is exactly how this sad opiate works: anything they can identify as somehow going well in the world is a sign of not just their brilliance, but inherent glorious being of self. All social failures? Well – that’s another story. Blame it on something that gives you warm and moist, and that’s okay. In fact it may then rise to the level of fact and taken to be a home truth. The next step is to pity these ‘youths’ for being exploited somehow, and then use that constructed empathy to compare the Hamburg cell to them. If the EU isn’t a federalist entity with a partition of powers, then what the hell Is it? A German court strikes down as unconstitutional the establishment of an EU military, one of the sort of essential institutions of a state along with a plausible and respected justice system. First, Germany’s constitutional court takes a clear stance on sovereignty. Ultimate authority always has to rest in a single place – and that is the member state for now. If you wanted to transfer sovereignty to the EU, you would have to dump your national constitution and adopt a European version in its place. As this is not going to happen, the court, in effect, ruled that all sovereignty in the EU is national. Power may be shared, but sovereignty may not. “Power may be shared, but sovereignty may not.” Think about that. With no visible line between the superstate (the Federation) and the member state that anyone will trust, it really isn’t that hard to see how a court cannot see where exactly it’s national body of law fits into the odd beast. Second, the court does not recognise the European parliament as a genuine legislature, representing the will of a single European people, but as a representative body of member states. A particular criticism made by the court is that the European parliament does not behave like a true parliament. There is no formal opposition. There is no grouping that supports a government. While the Lisbon treaty increases the powers of the European parliament, it does not, in the court’s view, fix its ultimate short-coming: that the parliament does not constitute an effective control of EU executive power. Which reflects rather badly on those who criticized the criticism of the Lisbon treaty as lawful, but not a solid basis of a nation state. Which is entirely correct – the distinction between a treaty between states and state formation is becoming even fuzzier. It’s clear what the German court needs to recognize a higher power – a state framework conferred on them by a constitution to earnestly accept the legality of a power over them. This is not PR. It’s not a feel-good or even feel-bad moment; it’s a ruling. They want what’s actually right by law now so that the future isn’t fungible. Anyone who you hear considering this ‘nitpicking’ or fussing with legalisms is telling you just how little they really think of law as the foundation of individuals’ rights and of the social contract between an individual and government. Perhaps they’re the type that think mob rule is law enough – I don’t know. However it is rather clear just what it is that they DON’T know. We have written this letter because, as Central and Eastern European (CEE) intellectuals and former policymakers, we care deeply about the future of the transatlantic relationship as well as the future quality of relations between the United States and the countries of our region. That is how Vaclav Havel, Lech Walesa, and other former leaders from Central and Eastern Europe open their open letter to the Obama administration (ginkuyeh to Janina). The former presidents, prime ministers, foreign ministers, and ambassadors go on to say that "Many of us know firsthand how important your [America's] support for our freedom and independence was during the dark Cold War years [,] U.S. engagement and support [being] essential for the success of our democratic transitions after the Iron Curtain fell twenty years ago" — thereby contradicting Obama's leftist fairy tale we-are-all-in-this-together description of the Cold War during his stay in Moscow. …the political impact of [the Russo-Georgian war] on the region has already been felt. Many countries were deeply disturbed to see the Atlantic alliance stand by as Russia violated the core principles of the Helsinki Final Act, the Charter of Paris, and the territorial integrity of a country that was a member of NATO's Partnership for Peace and the Euroatlantic Partnership Council — all in the name of defending a sphere of influence on its borders. …The hope was that integration of Central and Eastern Europe into the EU would actually strengthen the strategic cooperation between Europe and America. …This means that the United States is likely to lose many of its traditional interlocutors in the region. The new elites replacing them may not share the idealism — or have the same relationship to the United States — as the generation who led the democratic transition. They may be more calculating in their support of the United States as well as more parochial in their world view. And in Washington a similar transition is taking place as many of the leaders and personalities we have worked with and relied on are also leaving politics. …And then there is the issue of how to deal with Russia. Our hopes that relations with Russia would improve and that Moscow would finally fully accept our complete sovereignty and independence after joining NATO and the EU have not been fulfilled. Instead, Russia is back as a revisionist power pursuing a 19th-century agenda with 21st-century tactics and methods. At a global level, Russia has become, on most issues, a status-quo power. But at a regional level and vis-a-vis our nations, it increasingly acts as a revisionist one. It challenges our claims to our own historical experiences. It asserts a privileged position in determining our security choices. It uses overt and covert means of economic warfare, ranging from energy blockades and politically motivated investments to bribery and media manipulation in order to advance its interests and to challenge the transatlantic orientation of Central and Eastern Europe. We welcome the "reset" of the American-Russian relations. As the countries living closest to Russia, obviously nobody has a greater interest in the development of the democracy in Russia and better relations between Moscow and the West than we do. But there is also nervousness in our capitals. We want to ensure that too narrow an understanding of Western interests does not lead to the wrong concessions to Russia. Today the concern is, for example, that the United States and the major European powers might embrace the Medvedev plan for a "Concert of Powers" to replace the continent's existing, value-based security structure. The danger is that Russia's creeping intimidation and influence-peddling in the region could over time lead to a de facto neutralization of the region. There are differing views within the region when it comes to Moscow's new policies. But there is a shared view that the full engagement of the United States is needed. 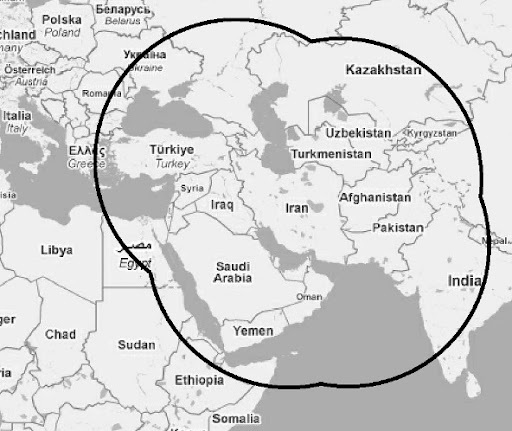 the thorniest [of which] may well be America's planned missile-defense installations. Here too, there are different views in the region, including among our publics which are divided. Regardless of the military merits of this scheme and what Washington eventually decides to do, the issue has nevertheless also become — at least in some countries — a symbol of America's credibility and commitment to the region. How it is handled could have a significant impact on their future transatlantic orientation. The small number of missiles involved cannot be a threat to Russia's strategic capabilities, and the Kremlin knows this. We should decide the future of the program as allies and based on the strategic plusses and minuses of the different technical and political configurations. The Alliance should not allow the issue to be determined by unfounded Russian opposition. Abandoning the program entirely or involving Russia too deeply in it without consulting Poland or the Czech Republic can undermine the credibility of the United States across the whole region. Barack Obama told NBC's Dr. Nancy Snyderman (thanks to Mickey Kaus via larwyn). "This is about saving lives"
"I think that's the whole point of this program," she told The Examiner. "It's designed to circumvent law enforcement -- law enforcement that is designed specifically to save lives." Photo radar tickets generated nearly $1 billion in revenues for D.C. during fiscal years 2005 to 2008. In the current fiscal year, Montgomery County expects to make $29 million from its red light and speed cameras. Lanier said efforts to outlaw the software would be too difficult. She said, "with the Internet and all the new technology, it's almost impossible to stop the flow of information." Workers play table tennis outside the New Fabris car parts manufacturer in Chatellerault, central France, Wednesday. A local official dismissed a threat by laid-off French workers to blow up their auto parts factory, saying the gas canisters, center left, they placed outside the plant are apparently empty. The factory's more than 350 workers were fired last month. They are demanding $41,000 each by the end of the month in compensation from the main clients, PSA and Renault, union officials say. Some 150 of them are occupying the factory, where some equipment has already been burned. Writing on wall reads: 'Garro we want the bonus 30,000 euros net'. Garro refers to Italian Florindo Garro, who heads ZEN owners of factory Fabris. Workers at collapsed French car parts maker New Fabris threatened on Sunday to blow up their factory if they did not receive payouts by July 31 from auto groups Renault and Peugeot to compensate for their lost jobs. Nonetheless, the practice of the proletariat somehow getting blood from a turnip to pay them for work they will no longer be doing is also rather interesting. The company is the successor to Fabris, founded in 1947 and put into liquidiation in 2007. It was later acquired by ZEN of Italy which is headed by Florindo Garro. ZEN SpA, based in Albignasego near Padua, makes cast iron parts for vehicles. Garro controls other metal firms in France such as Rencast and SBFM that also have financial difficulties. Some French workers have adopted militant tactics in the economic crisis, including "bossnappings" where managers have been held hostage in their offices. So one wonders why they are demanding anything from Renault. It might have something to do with the fact that to some nominal degree, that they are still in business and have something left to steal. 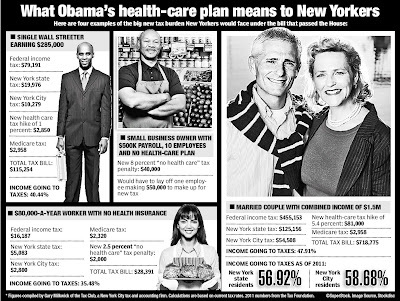 Sixty-two percent of voters in New York said, "Yes we can!" In the slaughterhouse environment that’s taking place in equities, Intel, by some miracle, actually earned some money. They would actually be able to have something to show for it (as opposed to just nearly breaking even) were it not for the EU and Neelie “if it ain’t bolted down, it’s ours’” Kroes. Those earnings, by the way have nearly nothing to do with the Eurozone, which is first large economy worldwide on the cusp of experiencing deflation. They’re innovators, I tell ya! Compulsion actually seems to be the EU’s notion of what it means to do well – not to encourage people who actually manufacture goods on their patch to sell the right product at the right price. Hell, they might actually clear enough of a profit to hire a few Europeans, if that makes any sense to the economic oafs in Brussels. I suppose the idea is to have as much control as possible in a dirigistic unfree market, and to mark your own as the winners. Win-win: you can “help” your economy, and shake it down at the same time. This weekend whilst leafing through the news, I found myself looking for written evidence of something I had heard from an international broadcaster which seemed to me like a stunning breakthrough for the slow-moving world of media in Europe. The Polish will actually be privatizing their state-run media. Period. End of story. The largest communications conduit in their language can no longer ever be commandeered by an elected official. It’s a stunning development for an environment like the EU, and exhibits a shockingly high level of trust that a society can have for its’ population by European standards. I’m quite sure Natalie and Co. are over the moon about it too. However, as of Sunday, there was little to be found about it from the big news agencies, with one rather schizophrenic report where it is buried in an item about a politician who once associated himself with people who turned out to be garden-variety European neo-fascists. Adding to the confusion, members of TVP's own supervisory board turned against Farfal last week, suspending him and replacing him with a former deputy. But the government, though keen to oust Farfal, branded that move technically invalid. Grad accused Farfal and what he called TVP's "highly politicised" supervisory board of wasting public money. "The situation (at TVP) is bad but the easiest way to resolve it is for President Kaczynski to sign the new media bill now waiting on his desk," said Grad. Apart from making it easier to remove Farfal from his post, the new bill would cut back state funding for public media, scrap Poland's national television and radio licence fee and prepare TVP for digitalisation. With an amazing lack of self awareness the report even made a point of telling us that the two stories were not related, a mere few paragraphs after defaming privatization through association – a strange thing for an international, non-state media racket like Reuters to report. It’s really strange, actually, to see how some reporters’ minds operate in the vacuum like that. The ideological position held by the inverse of the target of this story is precisely the one normally all about the defending of a potent state media with as little editorial and information gathering competition as possible. - something that has never seemed to bother the European left for a moment, so long as it operated in the narrowing of the public realm around the socialist world view, but here we see an interesting development: a nation where the dominant parties in political society in agreement about the role of freedom of speech and the state. Once you scrape away the statements and the window dressing that comes out of every other state-related media source in Europe, the move by the Poles is as radical as it gets. Compared to the government reigned-in oligarchs that operate Russia’s supposed “independent” media, it simply stunning. So the question remains why something that big could be fumbling around with so little relevance in some writers’ head, that IT isn’t the lead item or a story of its’ own. Think about it – the French and the British – two of the societies with a past history of the proponency of freedom of expression, and both with no shortage of understanding of the burden and suspicion that a state-run media can burden a society with STILL have state run media establishments, but Poland is simply disposing of theirs for precisely the right reasons. But the story gets bound up with a near press-release style political folly. Is it ignorance? An inability to place the meaning of it in any sort of perspective? One can only speculate. Thirty years after Jimmy Carter's malaise speech, we return to the days of rising joblessness, an unresponsive economy, deference to dictators, gutting the military and an energy policy tilting at windmills. Thus reads the latest editorial from Investor's Business Daily. …When Reagan replaced Carter, he found planes that couldn't fly and ships that couldn't sail for want of parts and maintenance. Defense is again being gutted with programs like the F-22 Raptor being tossed aside and Reagan's SDI missile shield being gutted. Carter's belief in diplomacy gave us Ayatollah Khomeini. It was a regime that held American hostages for 444 days. The Obama administration shares Carter's fondness for thugs like Hugo Chavez and Mahmoud Ahmadinejad, whose nation goes nuclear while we make nice. When Michelle Obama wanted to take her daughters shopping in Paris last month at a chic children's boutique, President Nicolas Sarkozy had to make a call to open the shop. Pourquoi? In France, it's illegal for many stores to open on Sundays. Now Mr. Sarkozy wants to change that. Not a moment too soon for the French economy. Parliament is likely today to pass a bill that would scrap the 1906 law restricting Sunday work. The law's original purpose was to keep Sundays sacred -- France's empty churches show how well that's worked -- and the Catholic Church remains a strong supporter. But it has become emblematic of the regulatory red tape strangling the economy. Some 180 exceptions have been made to the law. For instance, a store that sells sunglasses can open on Sunday because sunglasses are considered entertainment, while a store that sells eyeglasses must be closed. For many French citizens, being able to shop and work on Sunday would improve the quality of their lives. Some workers, such as students, even prefer to work on weekends. Opening on Sunday is good for the job market too. Legislative backers say the measure could save 15,000 jobs. France being France, the bill will not make it universally legal to trade on Sundays -- that would be too simple. It will merely allow more stores to open in tourist areas and cities of more than one million people. Businesses will need the regional prefect's authorization, and the measure makes it illegal to discriminate against employees who refuse to work on Sunday. Workers will be paid double for Sunday duty. Even so, the proposal is proving controversial. The Socialist Mayor of Paris, Bertrand Delanoë, said recently: "Sunday is a day of rest respected by most citizens and it must not be sacrificed by this vision of a de-regulated economy that does not take into account the family and personal lives of workers." Au contraire. If France is going to emerge from the economic slowdown as quickly as possible, businesses need to be free to adapt to changing times -- including the ability to serve customers when the customers want. As Mr. Sarkozy realizes in this case, and his opponents apparently don't, a healthy economy is best for workers and their families. Of course if one does not like this modest turn of events: do not shop on Sunday, do not work for a firm which has weekend hours. The point being it is the choice of the individual, not the state. A small group of officials working mostly from the White House are tightly controlling U.S. foreign policy, bypassing other government agencies and making decisions without employing the expertise of those agencies, according to diplomatic sources speaking to WND. If the WND report is to be believed, the main goal of Obama's White House is not a constructive and successful foreign policy for the United States (with all the hard choices that that may entail) but "creating an image of the U.S. working with the international community and of ensuring Obama's reelection in 2012." An image of the U.S! What is the left all about? Creating images! Ignoring realities and creating images! The sources said some of the decisions may be jeopardizing U.S. security. A senior Middle East diplomatic source said Secretary of State Hillary Clinton recently apologized to a Mideast leader, explaining to him U.S. policy regarding his country is being dictated by the White House and not her agency. …A senior U.S. official referred to the group as a "politburo," using the term for the executive committee of communist political parties. The source said the so-called politburo is making decisions that bypass other agencies. A case in point was documented in a Washington Post column last weekend by Jim Hoagland, who quoted diplomatic sources stating the White House decision makers unilaterally announced last month the U.S. would send an ambassador to Syria. The decision – which provided Damascus a major prize – took State officials by surprise, according to Hoagland. The senior U.S. official who spoke to WND confirmed a working group within the State Department was in the process of negotiating concessions from Syria in exchange for the appointment of a U.S. ambassador. …The U.S. official told WND the White House hastily leaked the news of an ambassador, ensuring against any possibility of extracting concessions from Syria since there was no need for Damascus to negotiate. The diplomatic sources said it was significant Obama has only called one Cabinet meeting thus far – a symbolic confab to mark his 100th day in office. …The senior U.S. official said Emanuel is most heavily involved in drafting policy, describing him as a sort of policy CEO, while Axelrod works to brand White House decisions. The source described the decision-making group as "ignorant" and as "still in campaign mode," citing as one example the lack of understanding among the group of Syria's strong ties to Iran. In another example, a second source said Obama and his team last week made numerous factual errors while negotiating in Russia, completely surprising Russian President Dmitry Medvedev with their lack of knowledge. The second source said the main goal of the White House "politburo" is creating an image of the U.S. working with the international community and of ensuring Obama's reelection in 2012. The sources said a main goal of the Obama administration is to oversee an eventual withdrawal from Iraq, even if that means cutting deals that would undermine U.S. security in other areas. The sources said they are concerned many foreign policy decisions are based on branding and are not taking U.S. security into consideration. "Great Britain has played an extraordinary role in this coalition" Obama told Sky News. “I am aware of not only the extraordinary work you have done on behalf of the Russian people in your previous role as prime minister — as president — but in your current role as prime minister” Obama told Vladimir Putin (three months after speaking of his "excellent meeting with President Medvedev of Russia"). "Congress, overall, has been making extraordinary progress" Obama told NBC's Dr. Nancy Snyderman. And then there was the time during the first debate that Obama told the nation's voters (i.e., the conservative voters) — not really the troops themselves, mind you — that the work of America's troops overseas was "splendid" and "heroic". This comes directly, logically, and naturally as the other side of the coin of the apologizer-in-chief's incessant regrets for his nation's actions and explains why it is that America and its allies must invariably be dissed while the world's dictatorships must just as invariably be kowtowed to (and have their actions, work, etc, be called extraordinary, etc). With the US “Health care debate” this stuff is popping up all over the place. Who should get care, really? Is the question that they want no-one to ask, bit it bears little difference to past arguments on the control that they would have imposed on man under any number of pretexts. Hand the left enough power and you end up with them bringing up the Eugenics argument. Forced abortions. Mass sterilization. A "Planetary Regime" with the power of life and death over American citizens. These ideas (among many other equally horrifying recommendations) were put forth by John Holdren, whom Barack Obama has recently appointed Director of the White House Office of Science and Technology Policy, Assistant to the President for Science and Technology, and Co-Chair of the President's Council of Advisors on Science and Technology -- informally known as the United States' Science Czar. It’s isn’t that different than Margaret Sanger in the 20’s, the Nazis in the 40’s, or Paul Ehrlich speciously warning and cheering on catastrophic disaster in the 60’s, but it’s all the same. The crux of the matter is that they think lives are the property of the state. Take on that “human responsibility” for society to the invasive a degree as to be the only source of medical care and you not only end up with rationing, but disposal to resolve the infighting that it creates – the competition for resources is made larger by putting every person in a fight for their life at some point. Only it isn’t the illness alone that they’re fighting, it’s access to the cure. The question now isn’t who and why are they looking to eliminate? Sanger seemed to hate black black people. Nazis hated some more than others, but pretty much had it in for you if you weren’t their notion of the classical European. Ehrlich was hoping we’d all just hop joyously into the great blender of imaginary resource virtues, which is the train Holdren seemed to have also jumped. There must be a way to make it cute if you can't argue some social necessity. They could call the well timed movie "Putting Down Baby" or something. The idea was, after all, quite popular. You could rant and get paid for it. You got to feel smart. You got to feel like you were the inheritor of all that mattered in this world, and take it out of society’s hands or anything larger than that, and preach a kind of power over others for yourself, but without the sctual responsibility of seeking anyone else’s consent. Then again since ‘universal agreement’ has been declared on the eco-apocalypse death cult – that one where we must be forced to ‘do everything we can’ one day, and need to engage in mass suicide to accomplish anything at all on the other, we already have the new meme. I’ll bet he has a well worn ‘hate is not a family value’ sticker on his Prius too. A la veille du 14-Juillet, jeunes des quartiers sensibles et forces de l'ordre semblent engagés dans un face-à-face inextricable. Sur fond de désespérance sociale et d'accusations récurrentes de "bavures", le huis clos des banlieues déshéritées envahit les médias. Comme les 31 décembre, avec ses centaines d'incendies de voitures, les 14-Juillet sont devenus des rituels de la violence dans les quartiers sensibles. L'année 2008 avait été marquée par un usage intensif des "mortiers" et autres engins pyrotechniques utilisés contre les forces de l'ordre, qui s'étaient ajoutés aux incendies de voitures (près de 600 comptabilisés en deux jours). Why would Obama spent hundreds of thousands of dollars on lawyers to block something that only costs $15 to produce? …The rule of law still matters. Law makers in Washington need to abide by the same laws that they expect us to. Over and over again, these politicians and bureaucrats reiterated their promises of transparency. It was a hallmark of Obama’s 2008 campaign. Yet people are still waiting for transparency, especially on this matter. I wonder why it is so difficult for us to find the simple truth. …Again, Mr. President, where were you born, and in what hospital? If you ever decide to provide this information, the people would like to have access to the hospital’s records so we can verify your statement. You have promised “transparency”, so let’s put the rhetoric into action. Finally, as the readers, you have to ask yourself: why would the President spent hundreds of thousands of dollars on lawyers to block something that only costs $15 to produce? How many Frenchman does it take to change a light bulb? and not just in a quantum state of flux. just burned out, but a genuine threat to the rest of the world. by illuminating anything other than its own space. more co operative light bulb and illuminate our lives? bulb change; violent action is unacceptable. "spirit" of the UN resolution regarding the light bulb. McDonald's is to leave London for Geneva, joining the growing ranks of US companies moving their European headquarters to take advantage of preferential intellectual property tax laws. The fast-food group, which will open its head office in the Swiss city in the autumn, said the move had been almost a year in the planning. The Swiss tax regime, particularly for intellectual property, has become increasingly attractive for foreign companies, particularly the regional European headquarters of US multinationals. Kraft, Procter & Gamble, Google, Electronic Arts and Yahoo have switched from the UK to Switzerland in recent years, while Informa, the UK publisher, is changing its tax domicile to the country. Eventually anecdotes become a pattern. Eventually patterns become data. Chalk up another example of reality intruding into the playpens of the economically infantile. I would love, for example, to see far-right libertarians thrown off the Guardian bogs as a matter of course – which might improve their appeal to many others as a result. Once again, they just don't like it up 'em. "The bottles of gas have already been placed at various parts of the factory and are connected with each other," CGT trades union official Guy Eyermann told France Info radio. "If Renault and PSA refuse to give us that money it could blow up before the end of the month," he added. Is extortion now legal in France? France has a history of boss-nappings dating back to May 1968 and the 1970s, when executives were held hostage in the struggle for rights. be enough to disappoint all those Europeans who had expectations that Obama would be an almost messiah-like healer. It was expected that he would demolish all of the ugly monuments from the Bush era and then, together with Al Gore, plant a Garden of Eden over the top, through which he would drive fuel-efficient compacts from Chrysler. Thus Brussels Journal's Soeren Kern quotes Die Tageszeitung (danke schön zu Power Line via Larwyn). And what is that German periodical and others carping about? Why is it that they are feeling that the One is letting them down? Because not enough is being done by the White House to show, beyond the shadow of a doubt, that America, under Bush, was nothing but a rogue, criminal entity, all of whose actions were invariably wrong and nefarious, and that anybody opposing Bush/America (such as Germany) was not only right but downright saintly to be so doing! One of the favourite tactics used by Der Spiegel is to interview American left-wingers in order to “prove” that the United States is every bit as bad as the German media say it is. …Underscoring the hypocrisy that underpins so much of the anti-Americanism in Europe, many newspapers have expressed resentment over Obama’s unwillingness to allow his European colleagues to bask in the limelight of joint photo opportunities. Here, though, is the only part where the European newspapers have a real point — although for wrong reasons (i.e., just another one in a long litany of "reasons" for being anti-American) — that the Apologizer-in-Chief will freely allow for photo ops with the likes of Chávez, Putin, and Medvedev, albeit not (or far fewer) for the likes of Merkel and Sarkozy. Dare we Speak their Name? Guess all you like who's tourists are being discussed here, I myself find it largely to be as true of ANY group of tourists wherever you are to one degree of another. But before you follow the link, what nation or culture comes to mind? _______ tourists are the worst in the world, coming across as bad at foreign languages, tight-fisted and arrogant, according to a survey of 4,500 hotel owners across the world. They finish in last place in the survey carried out for internet travel agency Expedia by polling company TNS Infratest, which said _________ holidaymakers don't speak local languages and are seen as impolite. "It's mainly the fact that they speak little or no _______ when they're abroad, and they don't speak much of the local language,"
I'm rather stunned that this story made it through the wire, given that certain incredibly foolish old prejudices continue to be repeated ad nauseum. Of course the story doesn't get into something that IS true about these un-namable "ugly" tourists: they are much more likely to be pikers, and to be rather noisy and obvious about their cheapness too.